Still on a bit of a Hallowe'en theme, confectionery style, as I found this while trying to organize my hard drive. 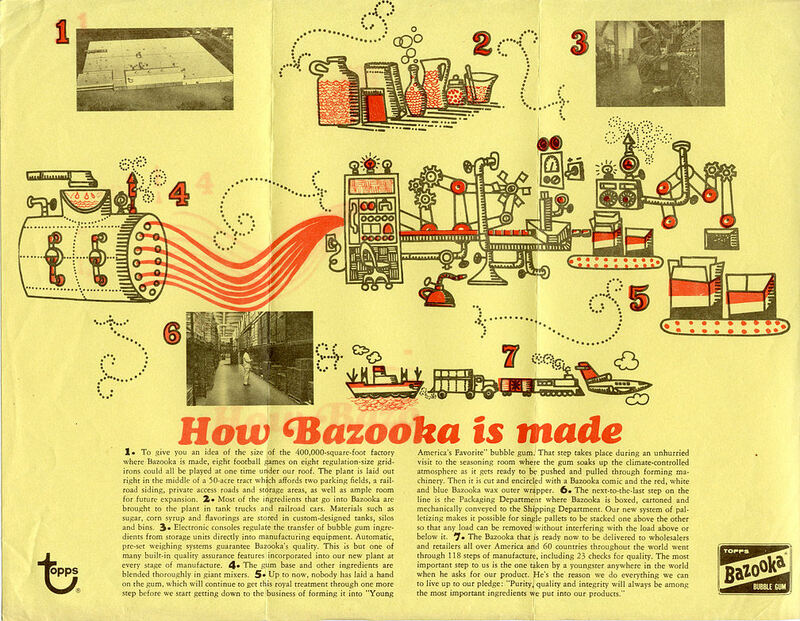 I can't really add much to it as it speaks for itself except that I cannot recall my kids getting Bazooka in their candy sacks ever! We used to get the old five chew rolls or a regular tab on occasion but that practice seems to have passed. Too bad. 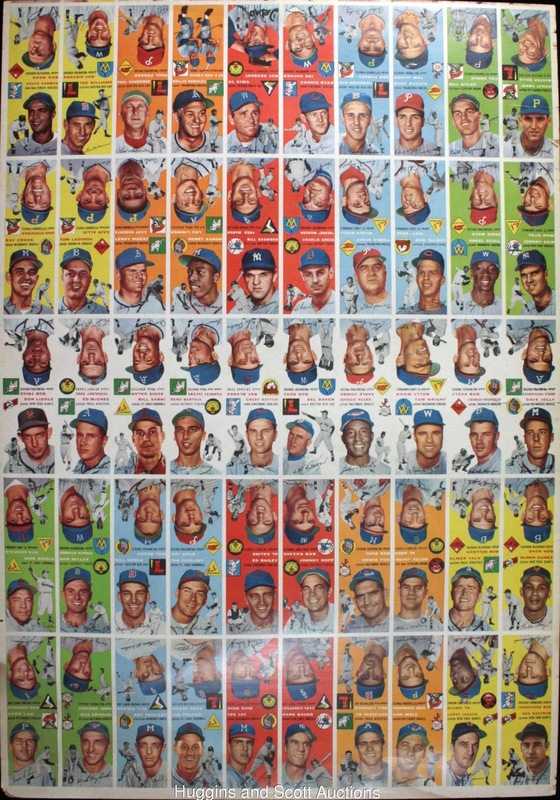 While I never really have my scans and notes together at the right time to do too many topical posts, today I am breaking with that scattershot approach to take another look at the fairly amazing 1967 Topps Blockheads. As noted previously, these were a series of a dozen Hallowe'en masks that were more like hats, with a couple of slits to allow the wearer to see the outside world. The story is that the slits were too small to be safe and the issue was pulled. I have never been able to verify that but it does make some sense. There could also have been a public outcry against some of the designs, which in the typical Topps fashion of the time, celebrated certain vices a bit too boisterously for some folks. 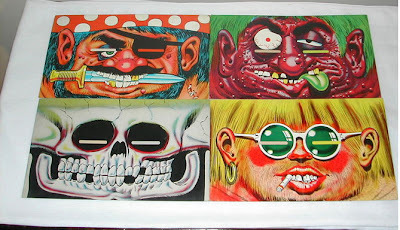 Between the knife clenched in the Pirate's teeth and the cigarette dangling from the Hippie's lips, there was enough to make a lot of parents peeved. Did this kill the set? 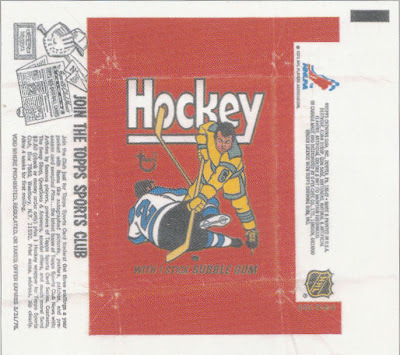 As very little is known about that set, I have to think they were just the same ol' Blockheads, renamed, based upon the box cover artwork and lower price point. 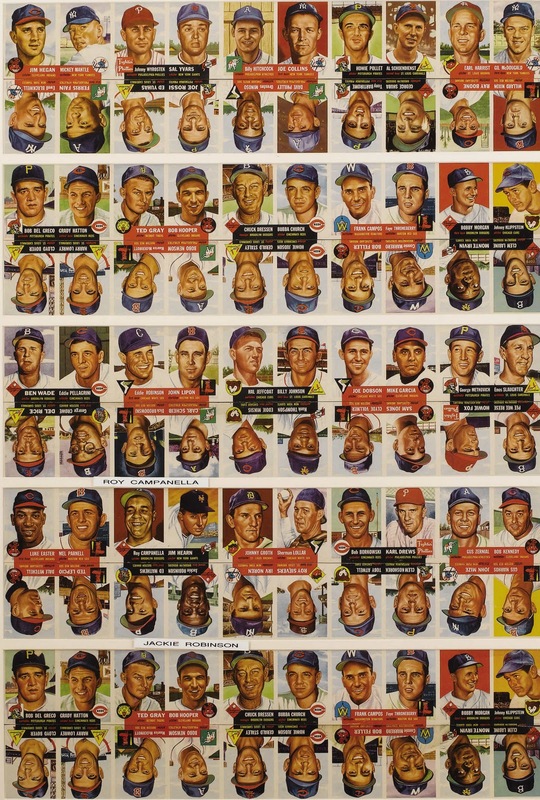 1968 would be the logical date of issue for the "posters". The fact all 12 poses were reiussed and no variations are known, would seem to support more of a poor sales scenario than a parents protest being responsible for the scarcity of these today. 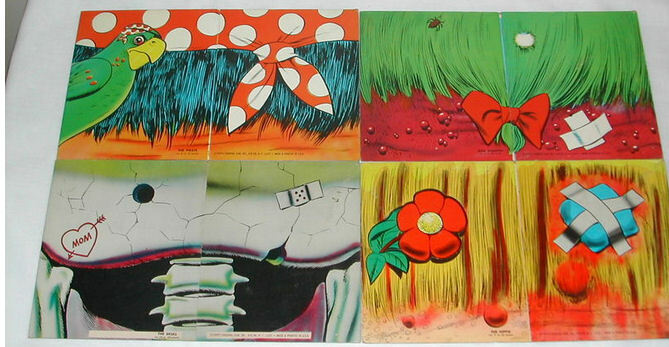 Topps issued Hallowe'en and Monster themed sets from 1959 through about 1971 on an annual basis, although some sets were reissued from year to year, probably to sell off overstock. 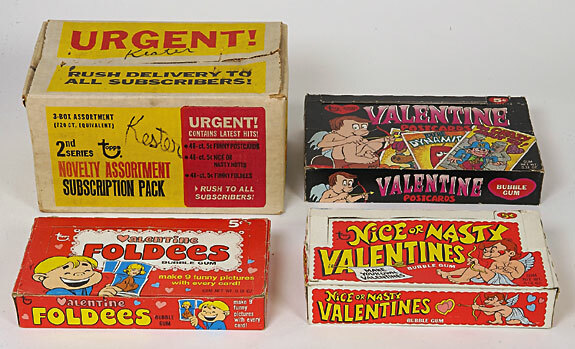 A similar run of Valentine's Day products coincided with these dates as well. A lot of things changed at Topps after 1971 and they may not have issued similarly-themed Hallowe'en sets again until the reintroduction of Monster Initials in 1974. There is some foxing, especially along the bottom but the back looks pretty white. I also took a closer look at the example shown in the Standard Catalog, as detailed here, and I think it is uncracked, meaning there are at least three examples out there. In case you missed it, Jon over at the always excellent Fleer Sticker blog found the original source photo, which is as common as the prototype is rare. 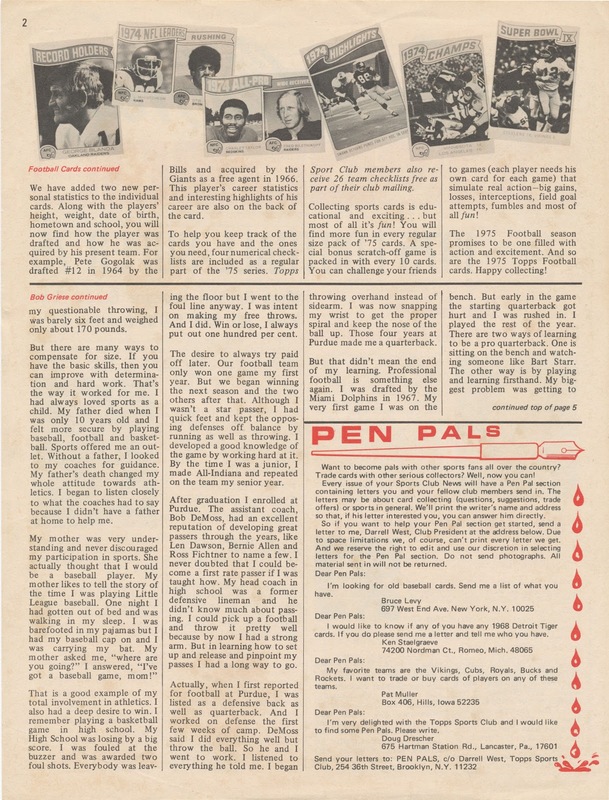 Click on through to see. Bob Lemke has another scan of different one (an actual ballot) at his wonderful blog, take a look here. 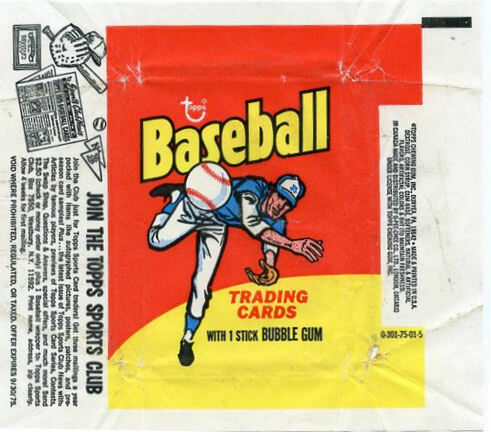 Topps must have cut these on the same machine that they used for packaging the various tattoo and gum tab issues. The rip is a byproduct of this process, most likely from the cutting stage, where I suspect a small pin held down the insert (or tattoo or gum wrapper) which would have been unspooling from a large roll while a cut was made and then the just-cut paper was dragged across the pin, leaving the rip as it moved on to the next phase of production. 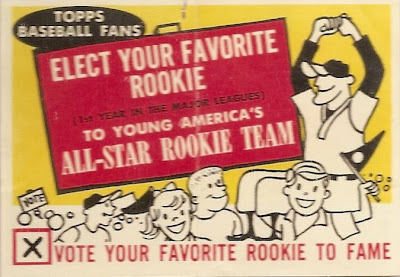 While the insert contest and premium cards of the era probably were printed on and cut from the same size sheets used for the regular issues they were packaged with, this implies another process and possibly another location as I have a reasonable level of confidence this ancient machine resided on the first Topps production floor at 60 Broadway, Brooklyn and never left until it was decommissioned in the late 1960's. When developers converted 60 Broadway to condos a few years ago, I wonder if they had to clear this old behemoth out? Old office furniture was found in the basement of another old Topps space at 134 Broadway during a similar conversion, so anything is possible! I glommed this picture from a Legendary Auctions catalog a while back and have been trying to piece together what is an odd little puzzle, with a definite Valentine's Day flair. The carton held all three of these boxes, all of which are 1970 in vintage . 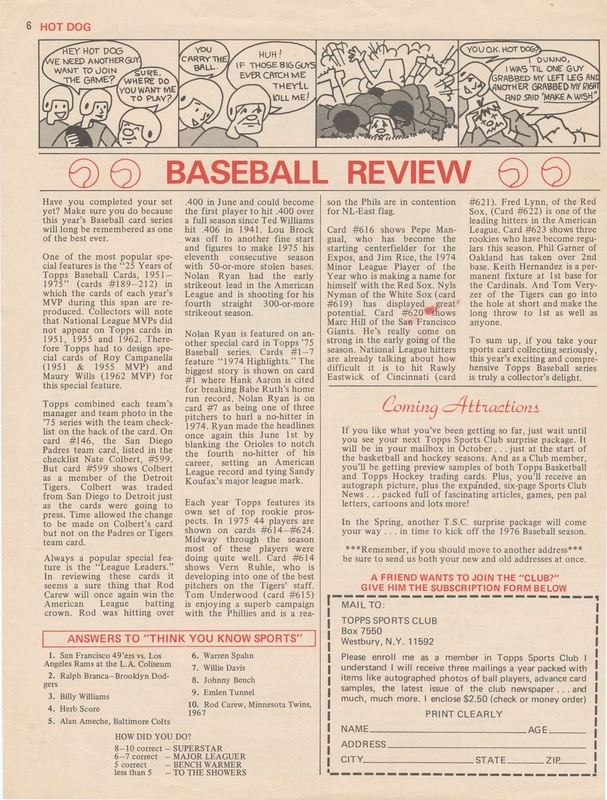 The markings indicate it was a subscription series for a Novelty Assortment, which is not helpful, although the 2nd Series designation may mean a Christmas themed 1st Series was issued; certainly something came before. 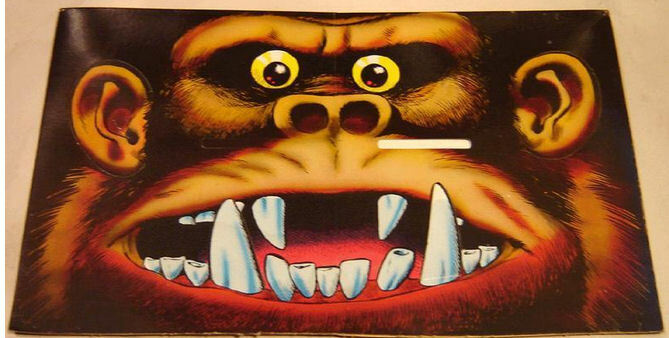 Would a 3rd Series have been for Hallowe'en? I am thinking Topps was recycling some unsold Valentines cards from 1970; perhaps this was the norm for the holiday-themed sets? 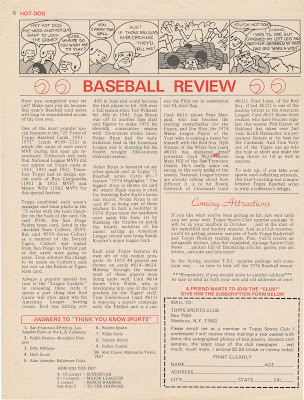 The Valentines and Hallowe'en Topps issues of the 60's and 70's are not well documented, so anything is possible. 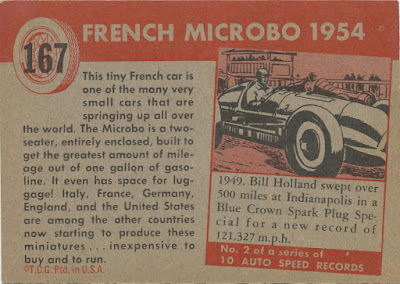 I am curious if other series were issued like this-any Archivists out there with some info? 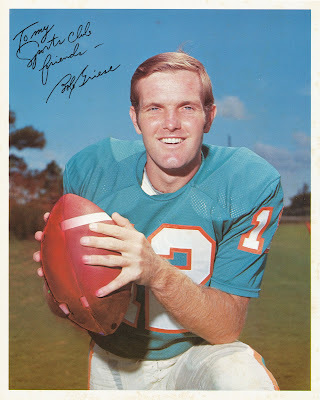 You can see that the inscription is similar to the one on the Griese photo. 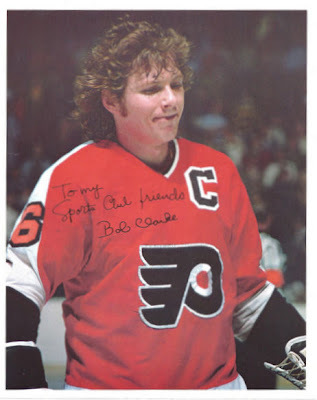 Now that is what I expected but when I went back to look at the Garvey photo at 1978, The Year It All Began, it was lacking the inscription: and is "signed" in white ink, not black. 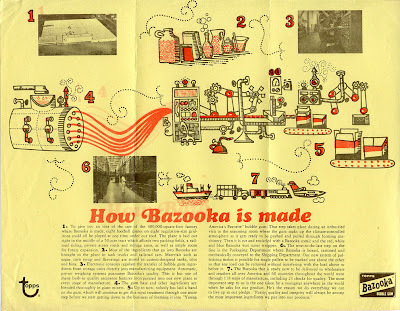 Gadzooks! 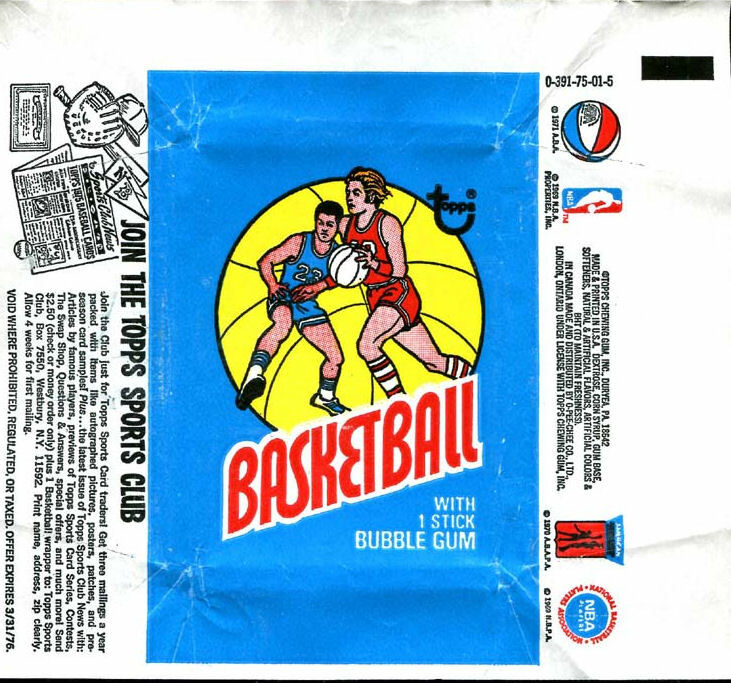 There is also a tagline I cannot make out in the lower right corner. [Update 11/4/11: Howard Schenker comes through again-the tagline says Full-Color Print,Inc. (212 947-1060)]. 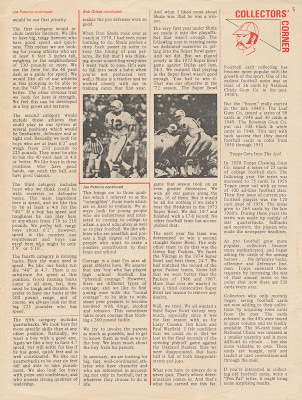 The photos would come as part of a "kit" for each sport, something that will be looked at in a bit more detail once some more scans and recollections come in (and following a short break while me and Mrs. Archives visit the home of the National Archives this week). 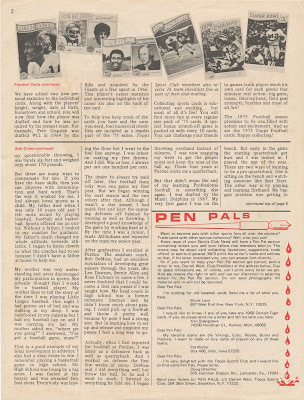 I do want to try and find scans of the Joe Morgan and Dave DeBusschere photos; I am inferring their existence from other sites (that's why I stated "I think" in relation to the checklist) and would like to see the visual evidence of their existence. 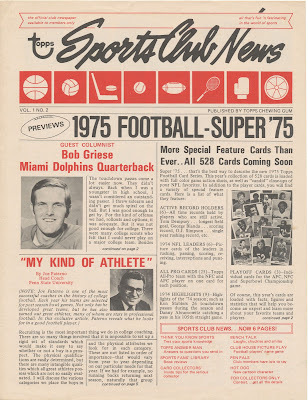 Griese is printed on very glossy, thin paper stock. Other photos in the set seem to include Joe Morgan and Steve Garvey, Bobby Clarke and (possibly) Dave DeBusschere. There could be more. The Garvey and a little more backstory can be found here. The project seems to have died out pretty quickly; I suspect the price was a little too steep for the times. In addition the first eighty cards of WOW consists of subgroups of 4 that have two full bleed tops and one left side block and one right side block, except for the final group (red) that has no full bleeds. 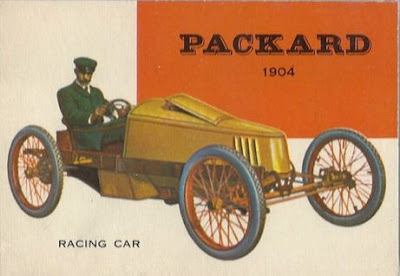 All three main types of vehicles (Sports/Speed, Antique and Modern) are well represented in this first group of 80. 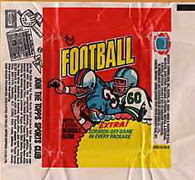 Sporty or Speedy cards have full bleeds, although Topps screwed up one or two. Antiques and Modern cards have partial color blocks. 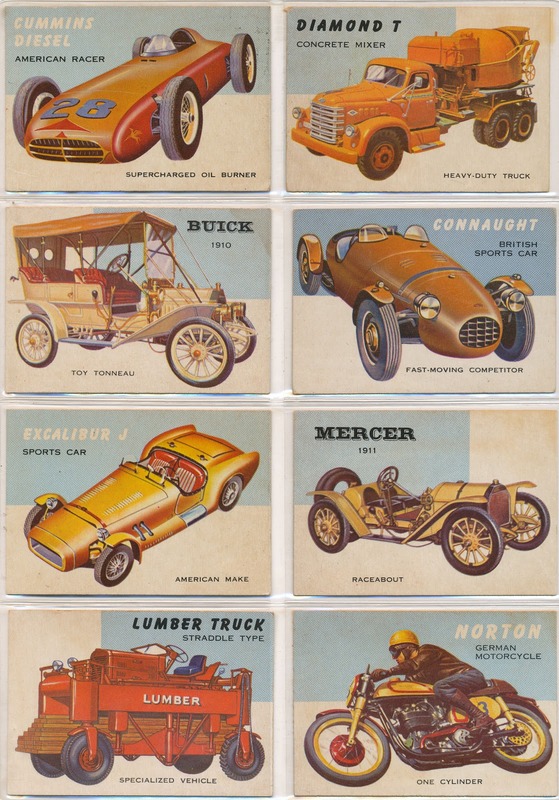 In case you are wondering, there are 56 sporty/speedy cards, 67 antique and 57 modern in the full set. 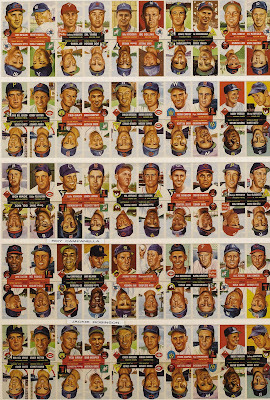 Since Topps press sheets were actually two 100 card half sheets printed together on a 200 card master sheet at the time, my guess is that the first 80 WOW cards were printed on both of the 100 card half sheets with 20 slots left available on each. 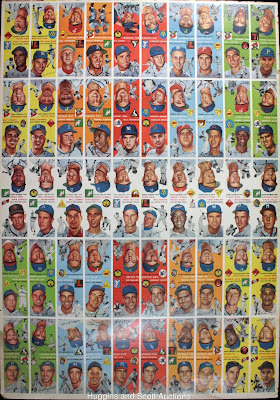 One sheet would have a run from #81-100 then, while the other could have had a single printed run of #161-170 on it, with another 10 cards from the #1-180 run overprinted, or perhaps just a double printed run of these ten. 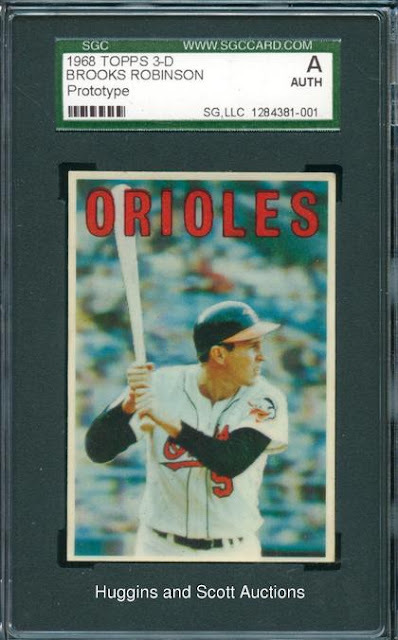 The first 100 cards of the set are quite easy but the scarcity of the high numbers makes it hard to believe a large run was issued of the ten high number cards. So now I wonder if a second printing of the first 100 cards took place, without the 1954's included, or vice-versa. 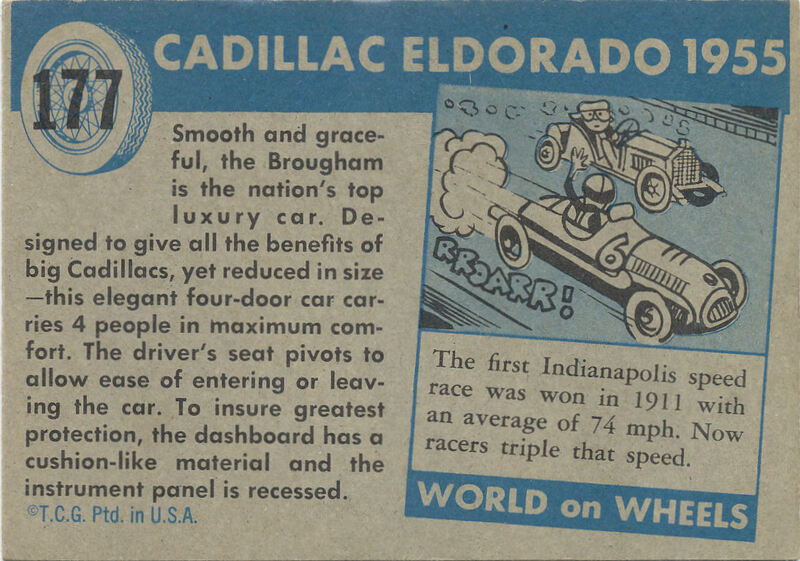 When I was a kid, all the boys in the neighborhood would go nuts over the new car models introduced each fall. 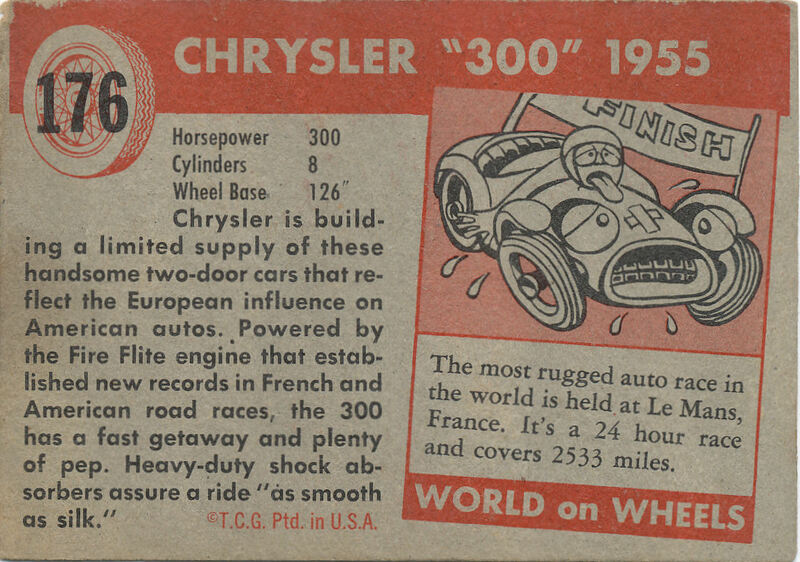 Had I been buying WOW cards in late 1953, I would have wanted a look at the 1954 models very badly. 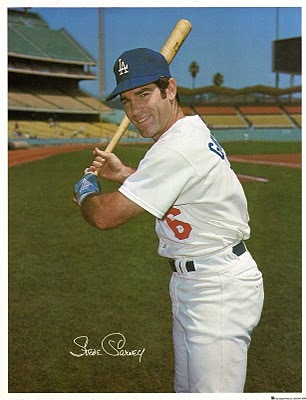 Topps may have made the cards showing these into an early version of a chase card, seeding very few of them in the packs. 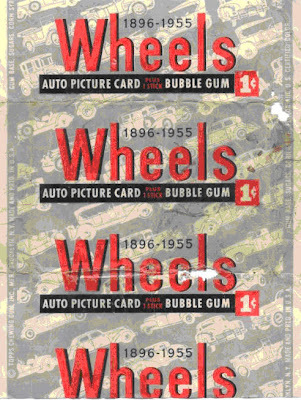 Extrapolating further, having issued cards showing the 1954's, Topps then pulled them for another run solely of the first 100 cards and sold only this true first series in cellos, which would not have had the 1954 descriptor on the wrapper, just the generic Trading Card Guild logo or even nothing at all. Starting at #101 the color patterns become more random but the left/right/two full bleed color blocking returns for a bit. 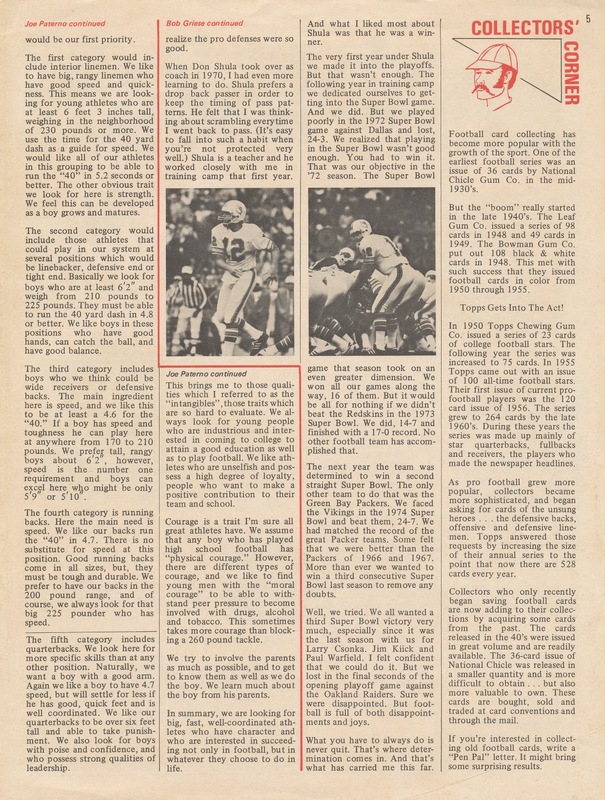 And then, at #125 we get a run of cards where the left and right bleeds become elongated, one each in a matched left and right combination, and ten in overall number, ending with a red grouping that concludes at #144. 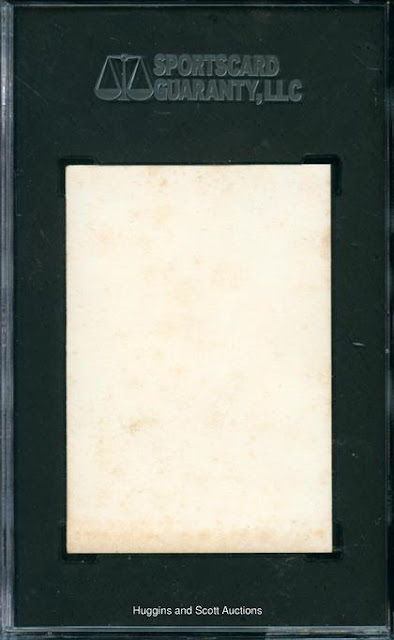 This indicates a ten card grouping that could have been designed on the fly for some reason; maybe my first theory is wrong and the second series had the #161-170 cards mixed in where this grouping of ten elongated bleeds fell on the sheet but I suspect not. Only about 20% is white. 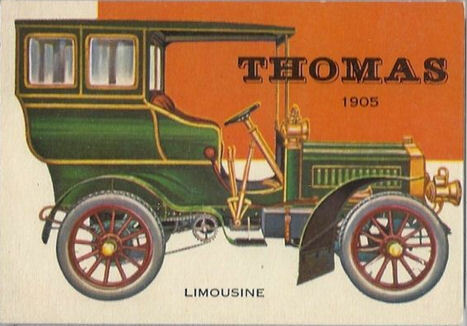 To match up with the upside down red counterpart, another elongated left bleed card was needed. 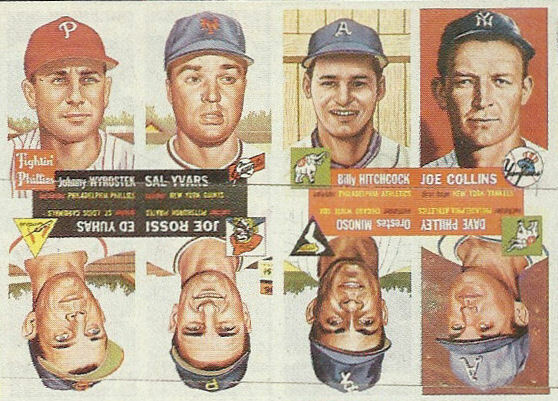 I am not sure why this elongation occurred; perhaps it was designed after all the other cards had been finished. Another oddity is that the rest of the low numbers that appear after #144 are all of the antique variety, all the way out to #160, somewhat mirroring the #81-100 run of modern cars. See how the bleed of the title color bar stops before it hits either the left or right edge? 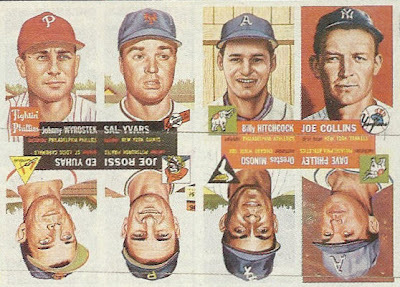 The same thing occurs on the blue backed cards. All of the first 170 cards have full bleed color bars on the back. Now the switch to blue is a huge mystery, even to this day but this is just about as weird. It's almost like they were printed with another set and shuffled into the WOW packs. 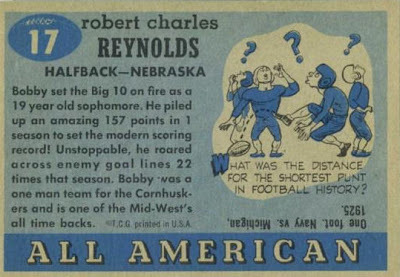 One issue that had a similar blue motif on the reverse was the 1955 All American set. 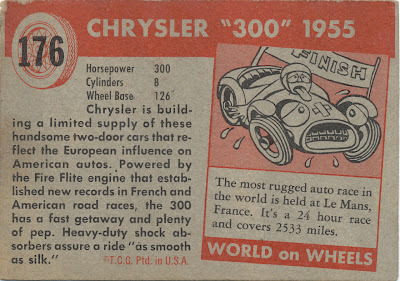 AA would have been printed right around the time the new 1956 models were introduced though, not the 55's. #171-180 Blue: Par but about 10-12x compared to #1-100. #101-160 go for about 2x of the first series cards. Well, there is plenty still to ponder. OK, I am really punking out today and this will be a short post. 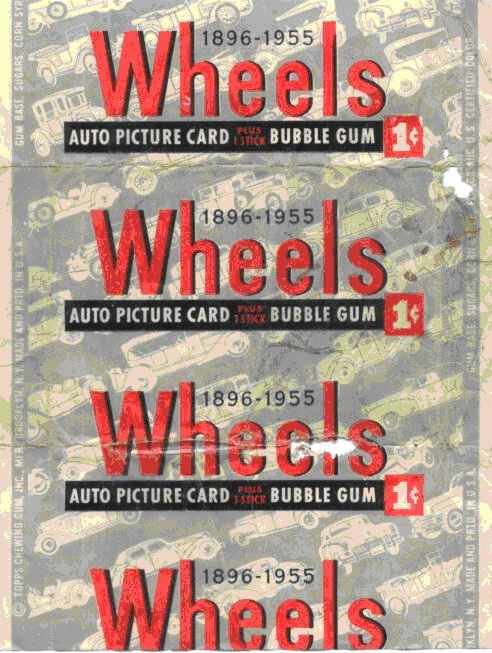 I am in the middle of putting together some more data on the 1953-54 World On Wheels set but it's gotten convoluted and won't be ready for few more days. 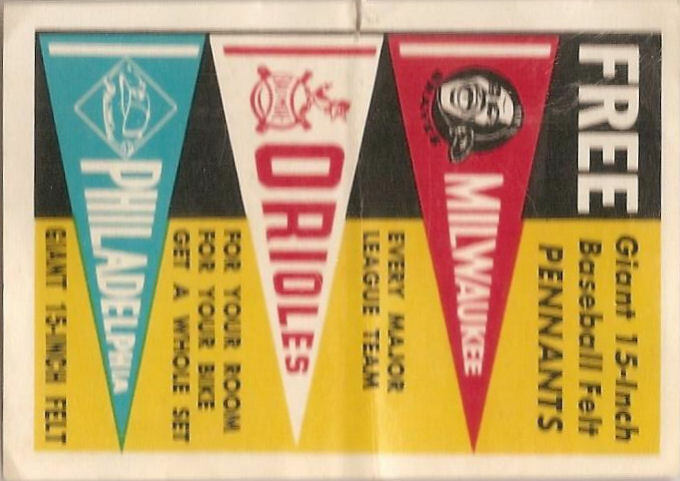 Instead I want to take a peek at the back of a pack, name 1968 Wise Ties, already covered here previously. Not only do you get a full checklist of ties on back, you get to see these were made in Hong Kong, famous for its fine haberdashers. If you are wondering the pack measures 9 1/4 " x 3 13/16". There is no production code, possibly due to Topps trying to import the product as a novelty or perhaps actual clothing. 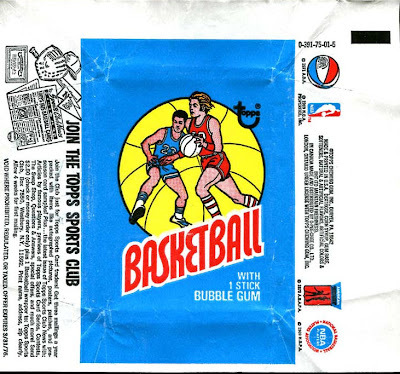 Actually, it's likely due to their no gum or candy being in the pack.